I was into books and novels last year but for this year i am declining onto that for i think i have to prioritize my studies and religious life. I have 5 novels that haven't been read and now i am into bible reading and discovery. But before i came to that i have finished pieces of novels and i liked two of it that has a significance about one symbol----------"A serpent eating its own tail", the Ouroboros. 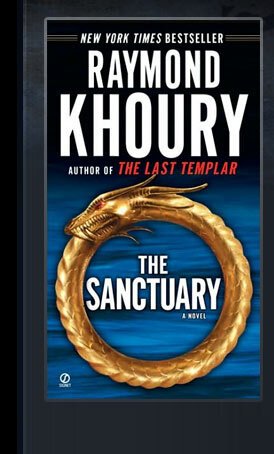 I knew about this symbol when i read the best novel i have ever read, entitled: The Sanctuary by Raymond Khoury. This scie-fi novel tackles about the longetivity of man's life, how it is possible for a man to live longer,the science discoveries that is being conducted, its history, the collateral effect, and how will this affect the future and the lifestyle of men. 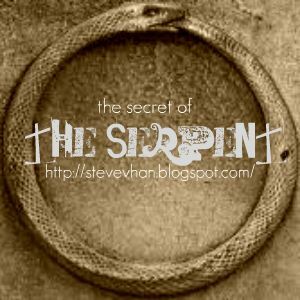 The twist about this novel is about the generations; present and ancient that discovers the blood line of the protagonists, and the relation of the symbol of ouroboros. The ancient time is about the western culture, the politics and the secret of using the book that tells about the secret of man's way to live longer than the usual or immortality. The present is about the middle-east and american war, about the armed forces yet the secret beyond it, the alchemy, their hidden agendas and connections, the mystery and the relation of the science studies of man's immortality to ouroborous. 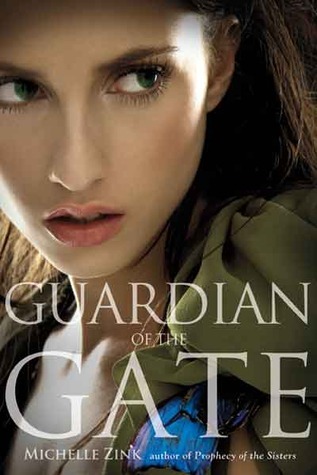 The second book that i read that relates with the ouroboros is about the rivalry of twin sisters Alice and Lia of the book Guardian of the Gate, a sequel book of Prophecy of the Sisters by Michelle Zink. The battle of two sisters for their love, for powers, one sister versus another, good versus evil. The magic and the mark of a serpent eating its own tail onto Lia's pulse is the relation of the ouroboros.Check the official website, you will see that the loading icon is the serpent click this. I am just amazed that this ancient symbol is still use and exist today in modern literature and how it is artistically used by novelists and writers to give their works twists. But do we actually know what lies inside the ouroboros symbol? A serpent eating its own tail that symbolizes infinity and man's longetivity? Dati nakakabasa pa ako ng mga books pero ngayun di na. Minsan nga mga magazine na binibili ko e 1 month bago ko mabasa. hehehe! Hindi ako masyadong mahilig sa Sci-Fi, puro Milan Kundera, Chuck Palahniuk at Haruki Murakami kasi ang gusto kong libro. Pero may mga Science fiction din ako. At tulad mo napag-iwanan na ako ng panahon dahil hindi na ako masyadong nakakapagbasa, busy na kasi sa trabaho. Ako tambak din ng librong babasahin. i love books but not the same story with yours. ayy.. >.< and besides tamad ako magbasa ngayon. hahanap muna ng interesting topic. What about if we dream of serpent? Good or bad sign?